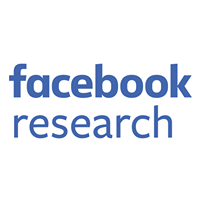 Millions of people use Facebook on Android devices every day, scrolling through News Feed, Profile, Events, Pages, and Groups to interact with the people and information they care about. All of these different feed types are powered by a platform created by the Android Feed Platform team, so any optimization we make to the Feed platform could potentially improve performance across our app. We focus on scroll performance, as we want people to have a smooth experience when scrolling through their feeds. To help us achieve that, we have several automatic tools that run performance tests on the Feed platform, across different scenarios and on different devices, measuring how our code performs in runtime, memory use, frame rate, and more. One of those tools, Traceview, showed a relatively high number of calls to the Long.valueOf() function, which led to objects accumulating in memory and causing the app to stall. This post describes the problem, the potential solutions we weighed, and the set of optimizations we made to improve the Feed platform. After noticing the high number of calls to the Long.valueOf() function in one of our method profiling reports from Traceview, we ran further tests that confirmed that as we scrolled through News Feed, there were an unexpectedly high number of invocations for this method. 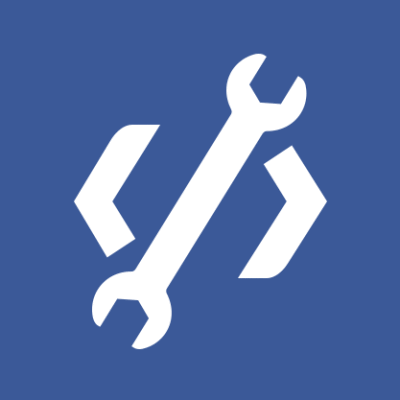 When we looked at the stacktrace, we found that the function was not being called explicitly from Facebook’s code but implicitly by code inserted by the compiler. This function was called when assigning a primitive long value where a Long object is expected. Java supports both Object and primitive representation of the simple types (e.g., integer, long character) and provides a way to seamlessly convert between them. This feature is called autoboxing, because it “boxes” a primitive type into a corresponding Object type. While that’s a convenient development feature, it creates new objects unbeknownst to the developer. And these objects add up. In this heap dump taken from a sample app, Long objects have a noticeable presence; while each object is not big by itself, there are so many that they occupy a large portion of the app’s memory in the heap. This is especially problematic for devices running the Dalvik runtime. Unlike ART, which is the newer Android runtime environment, Dalvik doesn’t have a generational garbage collection, known to be more optimal for handling many small objects. As we scroll through News Feed and the number of objects grows, the garbage collection will cause the app to pause and sweep unused objects from the memory. The more objects that accumulate, the more frequently the garbage collector will have to pause the app, causing it to stutter and stall and making for a poor user experience. Luckily, tools such as Traceview and Allocation Tracker can help find where these calls are made. After reviewing the origins of these autoboxing occurrences, we found that the majority of them were done while inserting long values into a HashSet<Long> data structure. (We use this data structure to store hash values of News Feed stories, and later to check if a certain story’s hash is already in the Set.) HashSet provides quick access to its items, an important feature allowing interaction with it as the user is scrolling through News Feed. Since the hash is calculated and stored into a primitive long variable, and our HashSet works only with objects, we get the inevitable autoboxing when calling setStories.put(lStoryHash). As a solution, a Set implementation for primitive types can be used, but that turned out not to be as straightforward as we expected. Testing other libraries, such as PCJ and Colt, showed similar results. It was possible that the existing solutions didn’t fit our needs. We considered whether we could instead create a new Set implementation and optimize it for Android. Looking inside Java’s HashSet, there’s a relatively simple implementation using a single HashMap to do the heavy lifting. Adding a new item to the HashSet means adding it to the internal HashMap where the object is the key and the HashSet‘s instance is the value. To check object membership, HashSet checks whether its internal HashMap contains the object as a key. An alternative to HashSet could be implemented using an Android-optimized map and the same principles. String data = longSparseArray.get(3L); // the value of data is "Data"
LongSparseArray searches a sorted keys array for the key’s value using a binary search, an operation with runtime of O(log N). The index of the key in the array is later used to find the value in the values array. Since the LongSparseArray‘s keys are of a primitive long type, we can create a data structure with the same approach as HashSet but with a LongSparseArray as the internal map instead of HashMap. And so LongArraySet was created. The new data structure looked promising, but the first rule of optimization is “always measure.” By using the same testing framework from earlier, we compared the new data structure with HashSet. Each data structure was tested by adding X number of items, checking the existence of each item, and later removing all of them. We ran tests using different numbers of items (X=10, X=100, X=1,000 …) and averaged the time it took to complete each operation per item. We saw a runtime improvement for the contains and remove methods using the new data structure. Also, as the number of items increased in the array set, it took more time to add new items. That’s consistent with what we already knew about LongSparseArray — it doesn’t perform as well as HashMap when the number of items is more than 1,000. In our use cases, we’re dealing with only hundreds of items, so this is a trade-off we’re willing to make. In addition to avoiding all the Long object allocations, LongSparseArray was more memory-efficient internally, with about 30 percent fewer allocations in this scenario. By understanding how other data structures work, we were able to create a more optimized data structure for our needs. The less the garbage collector has to work, the lower the likelihood of dropped frames. Using the new LongArraySet class, and a similar IntArraySet for the primitive int data type, we were able to cut down a significant number of allocations in our entire app. This case study demonstrates the importance of measuring our options to ensure that we were introducing an improvement. We also accepted that while this solution is not perfect for all use cases, since this implementation is slower for very large data sets, it was an acceptable trade-off for us to optimize our code. You can find the source code for the two data structures here. We are excited to continue working on challenges and optimizing our Feed platform and to share our solutions with the community.